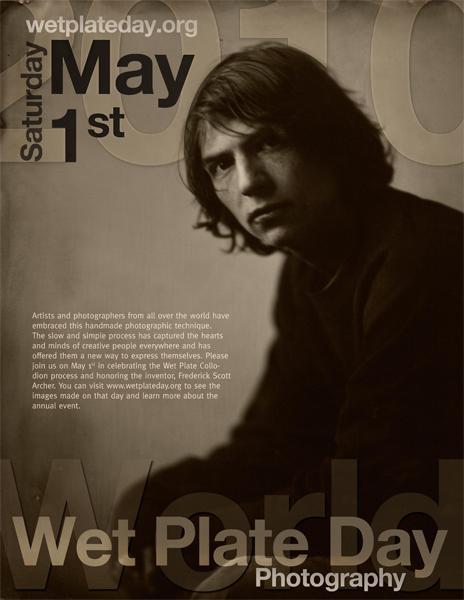 This Saturday is the day people all around the world practicing wet plate photography will make one or more plates to remember and honor the founder of the process, Frederick Scott Archer. On top of that this Saturday will also be the day that Mr. Archer will receive a proper plaque for his grave. This has partially been realized by the book made and sold of the “1 May Images” last year and by a special exhibition that has been organized at the place where Frederick Scott Archer is buried, namely Kensal Green Cemetary, Dissenters’ Gallery in London UK. The sale coming from the images collected for that ceremony will go towards the funding of that plaque. This Saturday will also be the unveiling of that plaque and Mr. Archer finally getting a finishing touch to his burial which, in his time due lack of money, was very modest. I feel most lucky and honored to be part of this ceremony and I will be visiting Kensal Green this Saturday with my mother. I’m looking forward to the journey, to London, to meeting new people and of course, a lot of familiar ones! See you all in London!!! This entry was posted on April 29, 2010 by Contrastique. It was filed under Wet Plate Collodion-Process & Chemistry and was tagged with Frederick Scott Archer, london, wet plate collodion, World Wet Plate Day.